Double girder beam launcher, one of the bridge construction machinery, the Soviet Union used earlier. In 1948 the introduction of its front and rear arms are steel beams, hanging weight of 45 tons and 80 tons of two. 50 years, the arms to architecture, lifting development to 130 tons. When the beam is separated, the beam will first fall on the axis of the bridge and then move sideways on both sides. Alternatively, the method of dialing the girder can be taken (ie, Arm off the bridge axis, no longer need to push the locomotive, so that the beam just fell to the design location). The girder beam can save the time of the bridge, but should the eccentric force of the frame beam and the strength of the ballast tank plate, and whether the balance weight of the beam can fall at the same time on the vehicle carrying the balance Check. 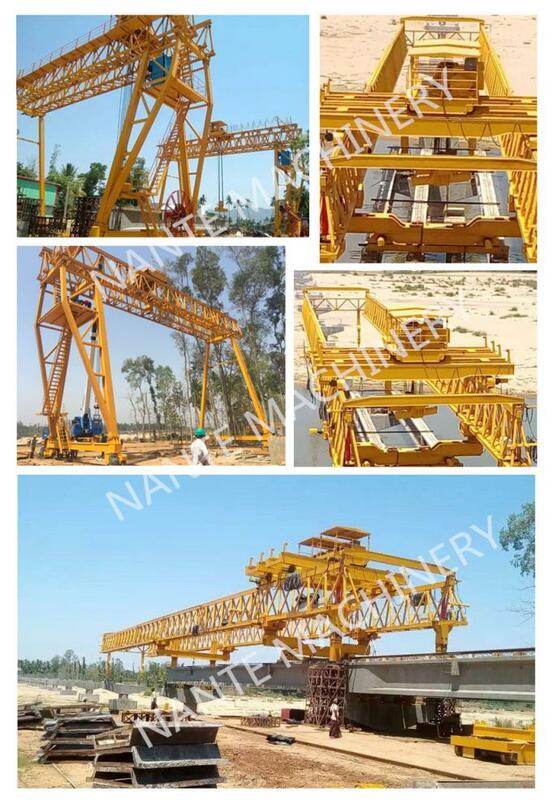 Double beam bridge machine, lifting weight is 130 tons. The boom is composed of left and right two box girders, two beams through the fuselage and forward and rear ends. At both ends there are folding columns consisting of two legs. There are two trusses across the box girders and can travel longitudinally along the boom. The crane is placed on a truss and can travel along the truss. The beam (or the whole beam) to be racked can be sent directly to the rear arm of the bridge machine with a railway flatbed truck. After lifting the crane with a crane beam, it will move forward with a truss, Bit. In order to adapt to the curve of the beam, the front and rear arms can swing in the horizontal plane; set up when the erection does not have to shift beam or dial Road, beam can be in place; "feed beam" does not require bridge fork or special beam machine. 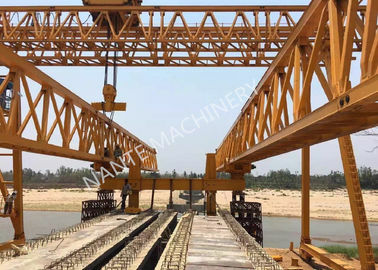 After the beam immediately to lay the track, bridge machine can continue to move forward. After the two bridge machines are generally able to pre-assembled rails in place, so that the beam does not work due to laying the track caused by delays. 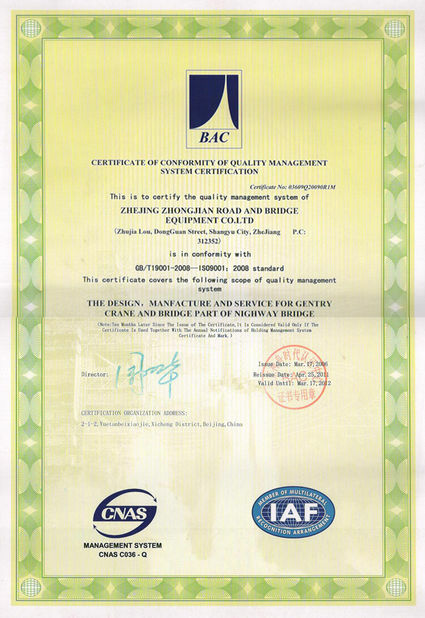 Mainly by the bridge, carts operating agencies, cars, electrical equipment and other components. According to the use of different degrees, divided into A5, A6, A7 three levels of work. Hook bridge crane action control all completed in the driver. Span: 10.5 ~ 31.5 m, 13 ~ 31 m.
Lifting height: 6 ~ 22 meters. 1. The first design of honeycomb beam, with light weight, load, strong wind resistance and so on. 2. Unique steel pin connection, not only solid and reliable, and assembly time is short. 3. Flexible bar legs, the site turned into a single piece, easy to transport. 4. 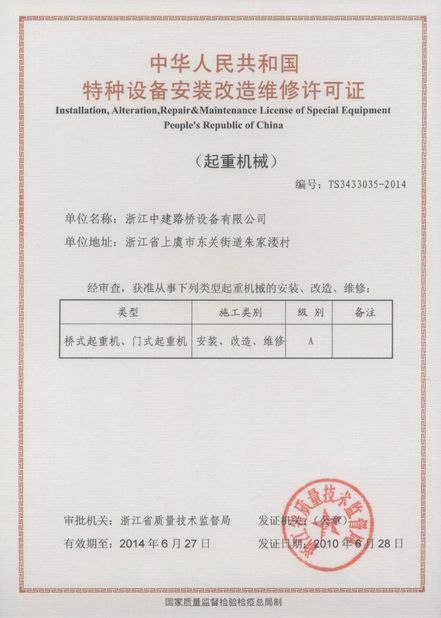 The minimum installed capacity, to solve the difficulties of field construction electricity.